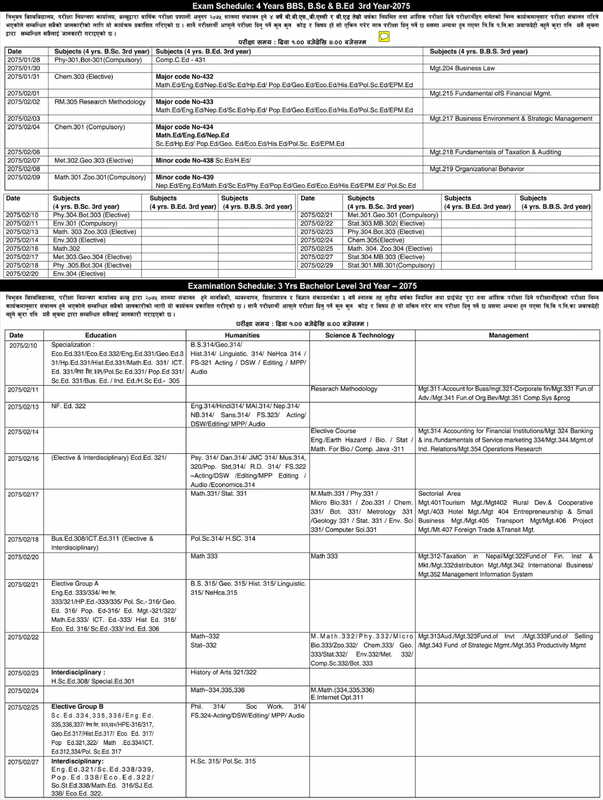 Tribhuvan University, Office of Controller of Examination, Balkhu, has published a notice regarding the exam schedule for both 3 years and 4 years BA, BBS, B.Sc & B.Ed 3rd Year- examination 2075 in both regular and partial side. Examination Time: 1 PM to 4 PM. Phy - 304/ Bot - 303 (Elective) subject of 4 year BSc. 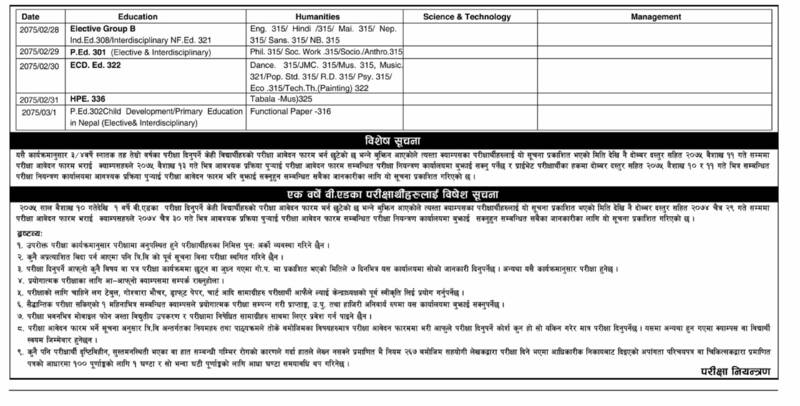 3rd Year will be held only on Jestha 10, 2075 (May 24, 2018).